Enhance the sharpness and design of a picture frame. They can be the difference between a good frame and a GREAT FRAME! 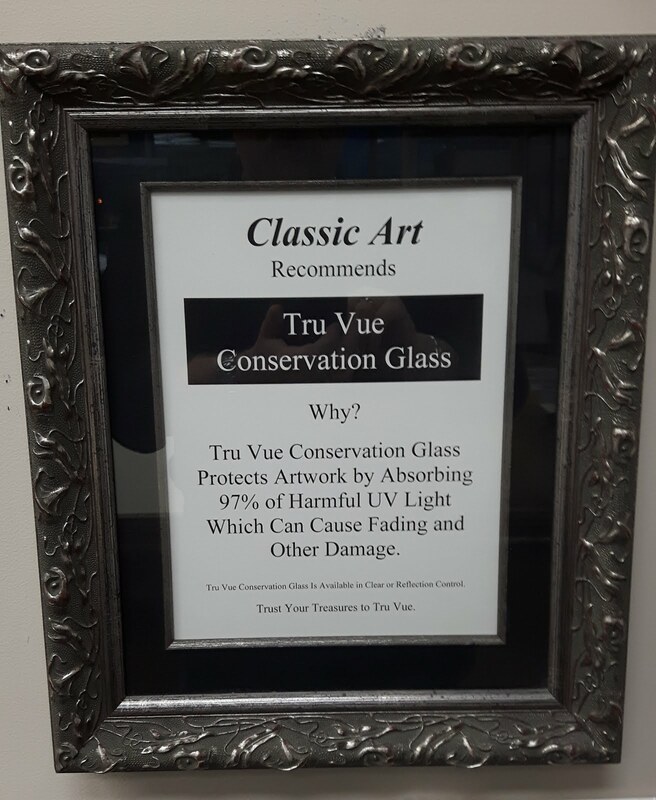 Tru Vue Conservation Glass protects artwork by absorbing 99% of harmful UV light which can cause fading and other damage. 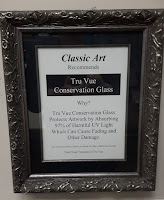 Tru Vue Conservation Glass is available in clear or reflection control. Trust your treasures to Tru Vue. A tight wire across the back of a frame will have a tension the equivalent of 7 times the weight of the framed art. Tension on the wire draws the side rails together, which also makes the top rail bow, and stresses all of the miters. That effect is most noticeable when the wire is stretched tightly across the back of a heavy fram package in too-narrow moulding. You can minimize the stress if you use two hooks in the wall, placed nearly as far apart as the frame's width, and a longer wire, which departs the frame at angles of at least 60 degrees. The closer to vertical the wire, where it is connected to the frame, the less stress it imposes on the rails and miters. For heavy pictures (like framed mirrors ) I would suggest strap hangers and no wire at all. They can be used to frame just about anything. From family heirlooms to hockey jerseys. 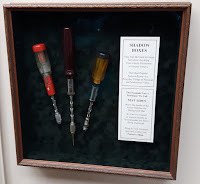 We can use frames of various depths to accommodate the items being displayed. 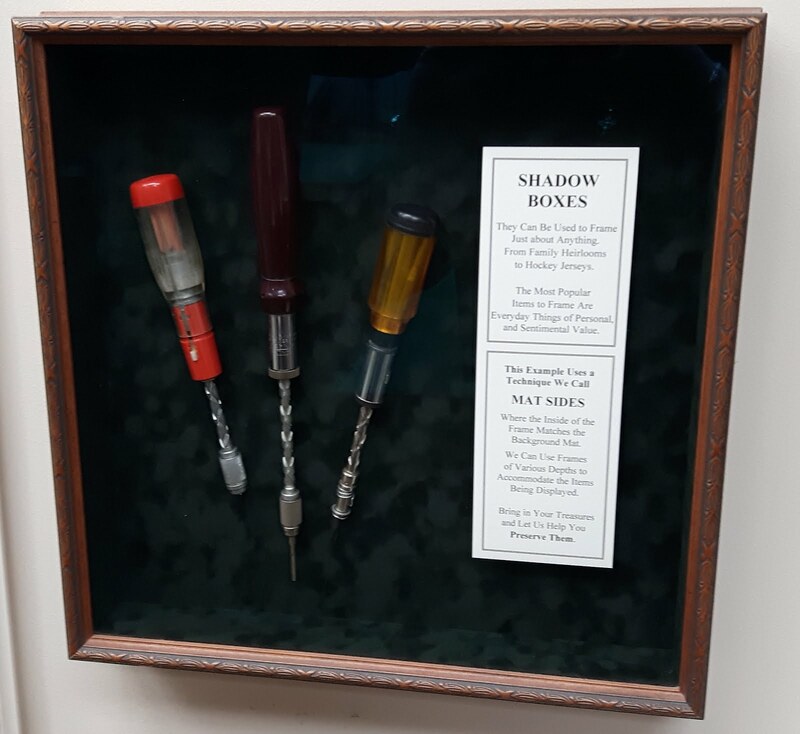 Bring in your treasures and let us help you preserve them.